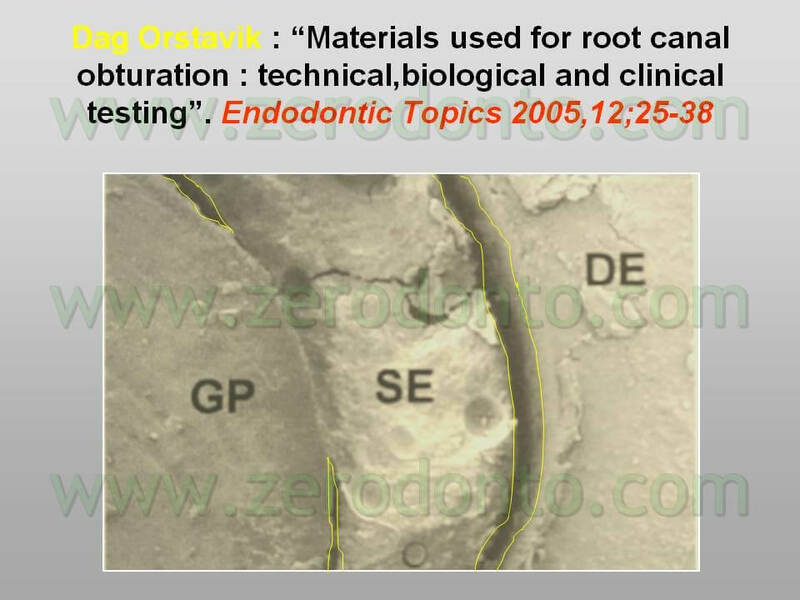 PART 1: THE SHAPING OF THE ENDODONTIC SPACE. 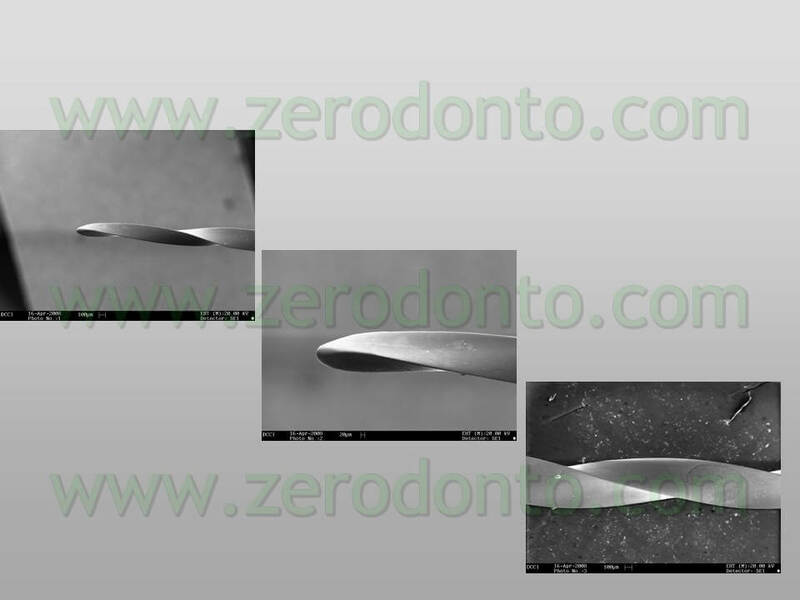 It is undeniable and generally accepted that the success in endodontic therapy, aside from the performance of a correct access cavity aiming at removing coronal interferences, is linked to the synergistic action of three fundamental stages: the correct shaping, the cleaning-sterilization of the endodontic space and its hermetic and stable filling. 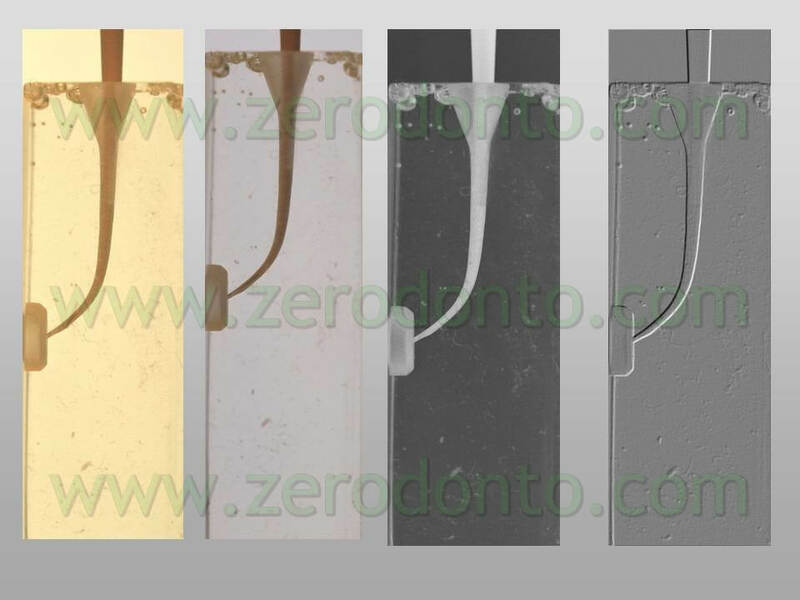 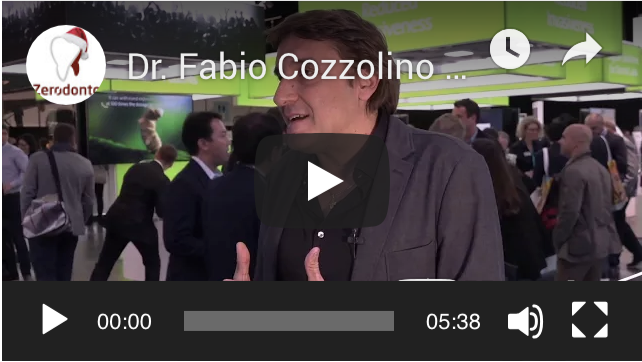 In the age of Nickel-Titanium we have to face almost every day new instruments coming out on the market that should make it possible for the operator to perform a faster and safer work and new equipment that should make the root canal filling simple, fast and predictable. 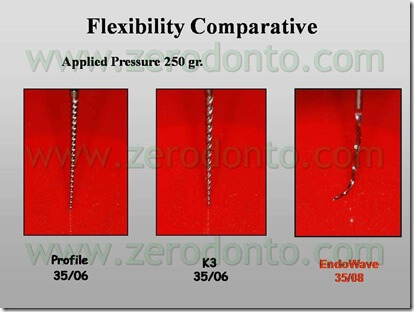 The aim of this work is to propose a new technique which, while respecting the aforementioned triad shaping-cleaning-filling, allows not only the specialist in endodontics but also the “general practitioner” to perform a fast, safe, predictable and extremely ergonomic root canal therapy. 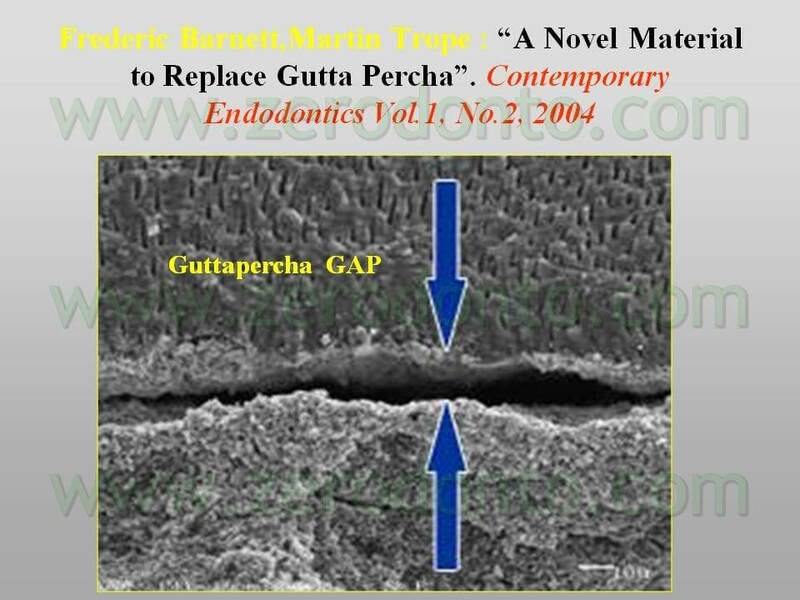 Gutta-percha nowadays is still the most widely used root canal filling material: it is used in various ways, e.g. 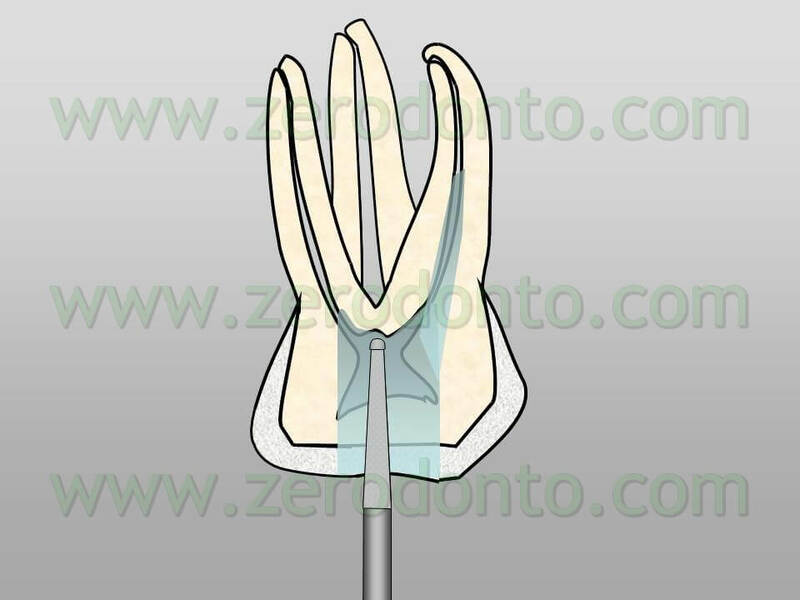 the warm compressing technique, the use of carriers, the low temperature side filling, the mechanical compressing, the use of expensive equipment to heat up and/or for the backfilling. 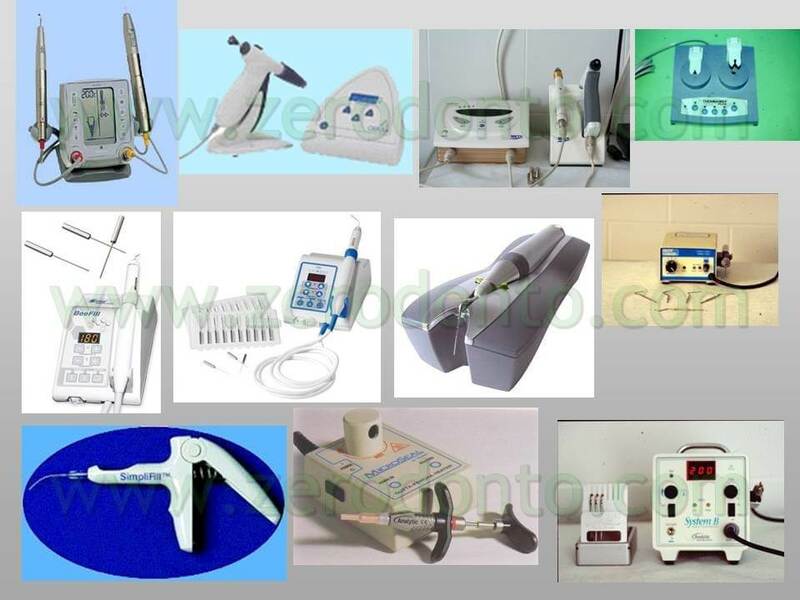 All these procedures need a long learning curve if they are to be put correctly in operation. 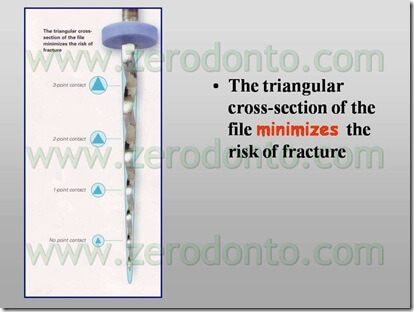 The “Schilderian” warm compression itself on the one hand provides wonderful radiological images when performed correctly, on the other requires such a sacrifice of dentinal structure, needed to bring the warm spreader to at least 4 mm from the apex, that can endanger the structural integrity of the treated element. 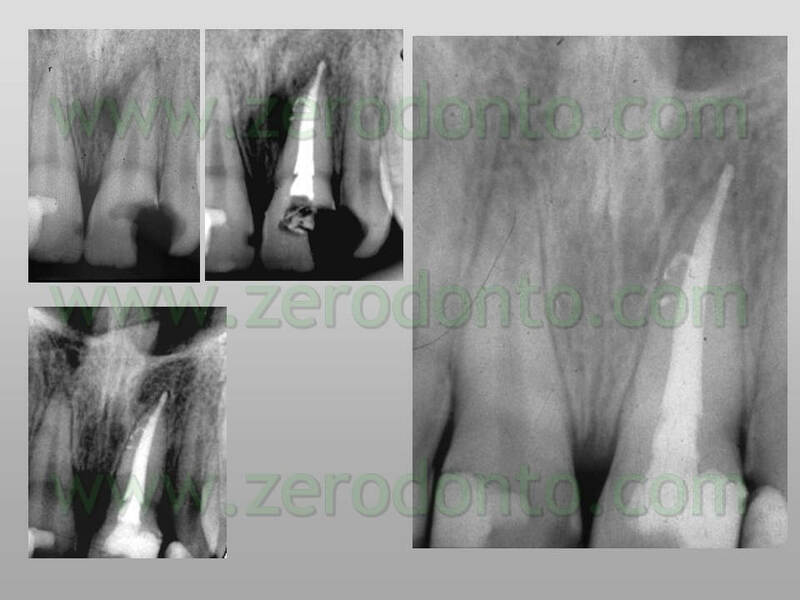 Furthermore the well known retraction of the gutta-percha (5-7%) during the cooling down, the total lack of adhesion between gutta-percha-cementum-root dentin which can lead to a high risk of subsequent coronal-apical infection are elements that are always to be taken into consideration. 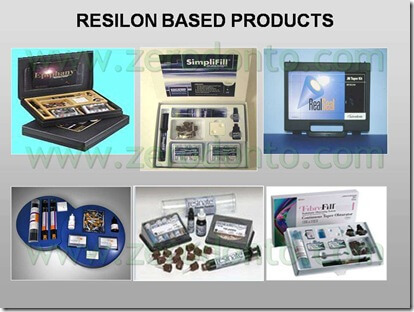 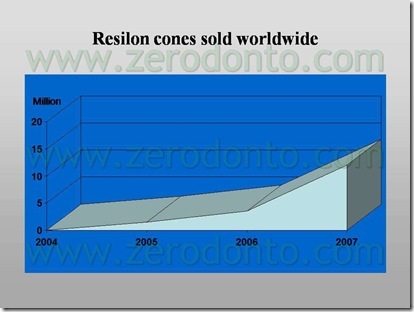 In the last few years there has been the possibility of using a new material, the Resilon, made up of new conception polyester polymers and liable to future modifications: its characteristics of biocompatibility, ductility and ease of use are appointing it as the heir of gutta-percha (as confirmed by the worldwide sales increase). 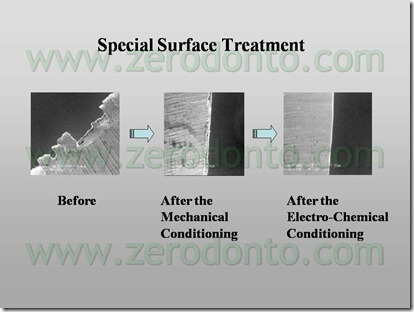 The technique we are about to describe in this article is as easy as one can conceive, the learning curve extremely short, the results thrilling provided that all the easy required operative steps are carried out. 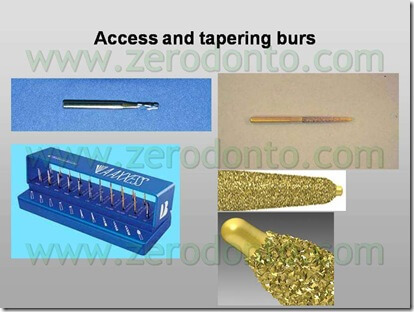 The first step consists in making the correct access cavity in order to get rid of possible coronal interferences using the appropriate burs: this step is needed to get a straight and visible access to the root canals. 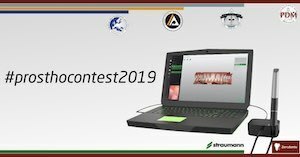 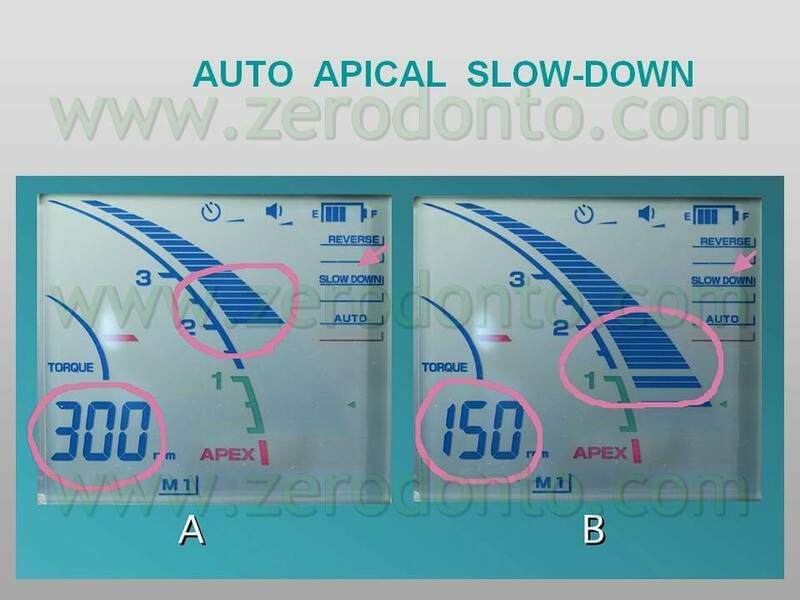 The second step consists in ‘scouting’ the root canal with a 0.08 K-file in bath of 20% EDTA Gel and assessing the length of the work area using an apical locator: this has to be supported with at least 3 X-rays performed with a positioning aid, 2 of which with a projection of 30 degrees. 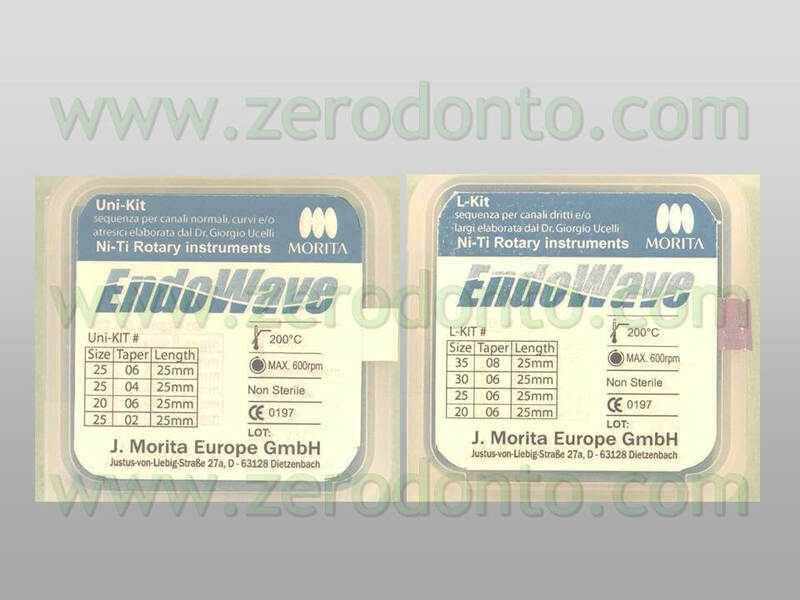 The recent construction of a 10/12 rotary files (Morita) usable at a speed of 1000 rpm and a torque of 0.3 Ncm makes it possible to perform a totally motorized “glide path”, as well as the passing of 15/02,20/02 EndoWaves; 25/02 EndoWaves can possibly be used in wider root canals using the appropriate endodontic handpiece at a speed of 800 rpm and torque of 0.3 Ncm. 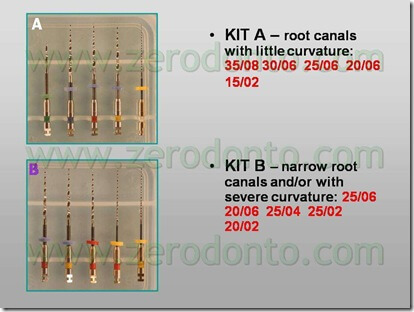 As previously mentioned EndoWaves are Ni-Ti rotary files supplied in 2 kits (A and B) by the company: kit A is to be used in wide root canals and/or with little curvature while kit B in narrow root canals and/or with severe curvature. 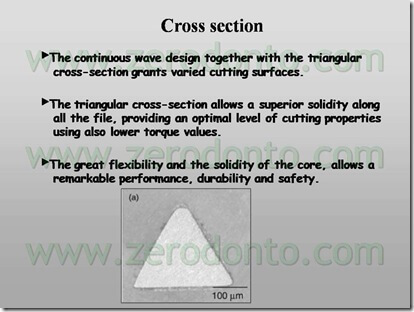 All the files have a triangular cross-section, the only exception being the #15/02 and the #20/02 which have a square cross-section. 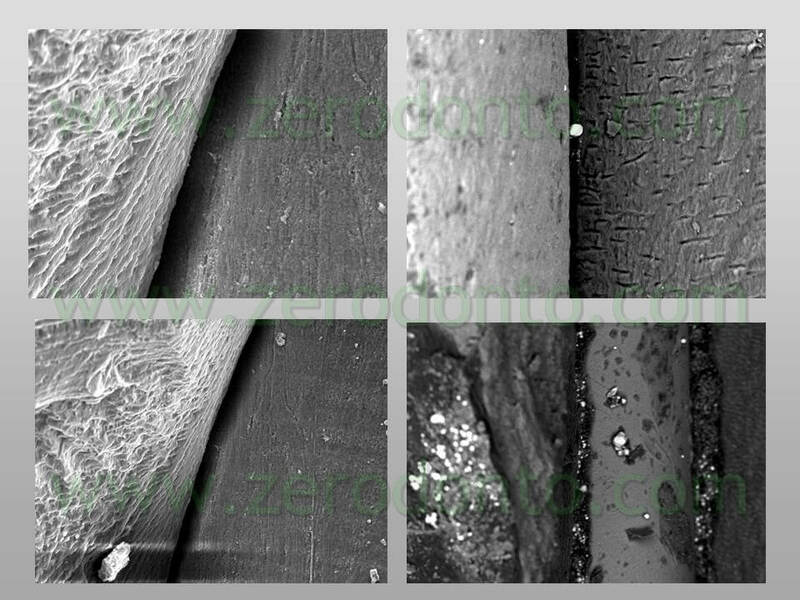 The triangular cross-section, along with the specific “continuous wave” spiraling design makes them extremely flexible and efficient in removing organic and inorganic debris. 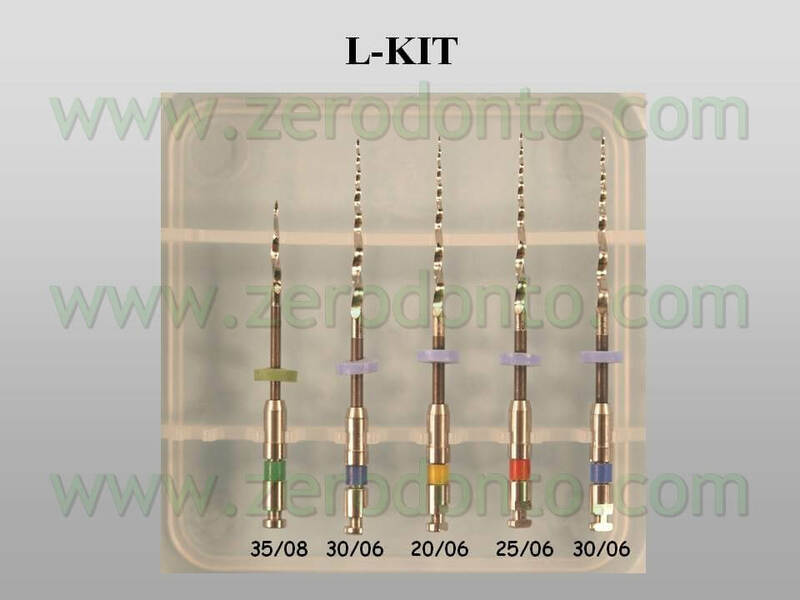 The non-sharp tip and the exclusive electro-chemical conditioning provide the files with unique safety qualities minimizing cyclical and torsional fatigue stress. 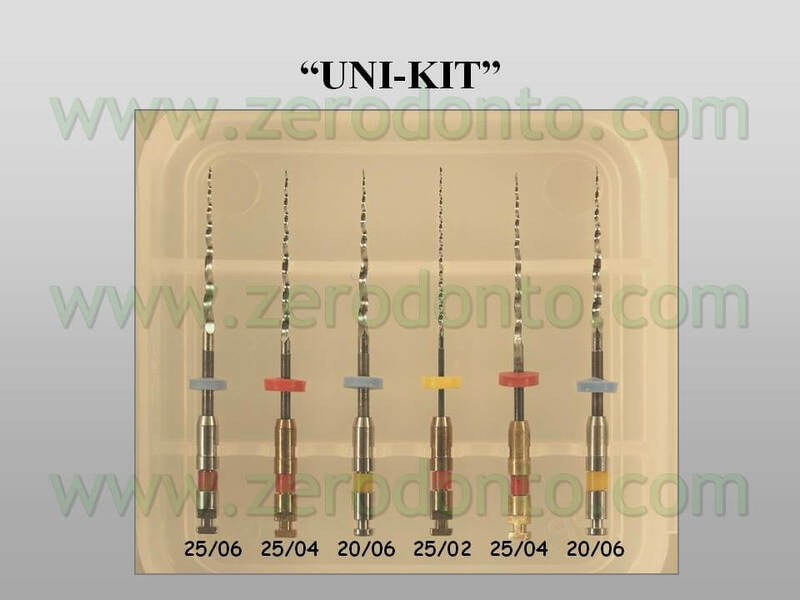 In our work the Kits have been reassembled in order to get a mixed kit for the “glide-path”, a so called “uni-kit” which has proved to be useful in 90% of the operations performed and an “L-kit” to be used in the remaining cases when facing wide root canals. 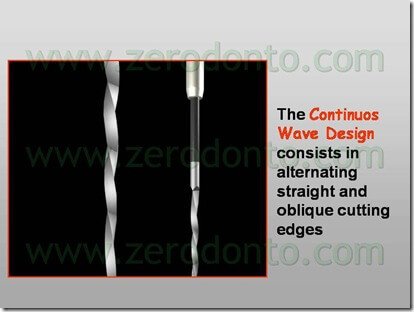 Introduction: due to the very low values needed by the EndoWaves the optimum would be the use of a devoted endodontic handpiece, e.g. 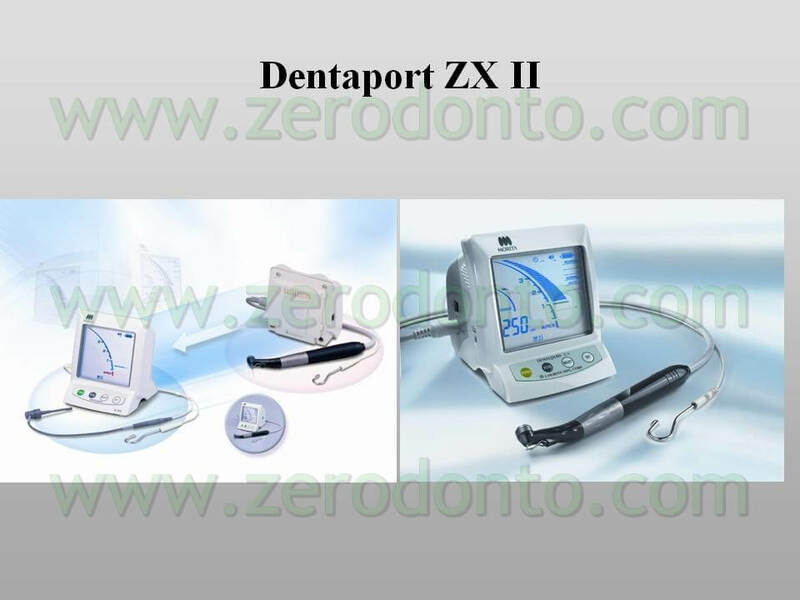 the Dentaport ZX II which contains, in just one instrument, the functions of engine and localizator, with 5 security devices to control torque, rpm, slow-down, screen control of the instrument progress, auto reverse . 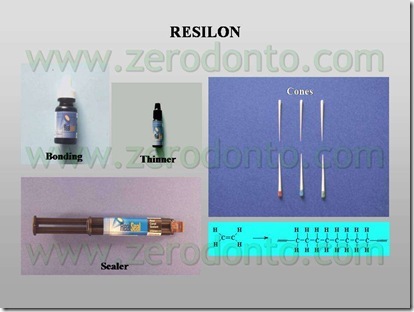 The instrumentation is limited to 4 Ni-Ti files. 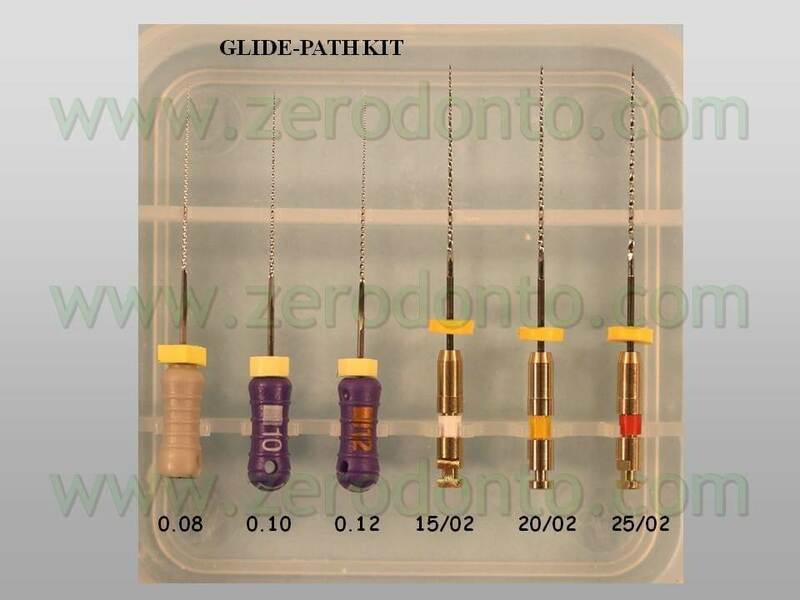 The glide path is performed using 3 manual files: the 0.08, the 0.10, the 0.12 K-Files in 19% edta gel bath, removed every time with 5.25-6% NaOCl . 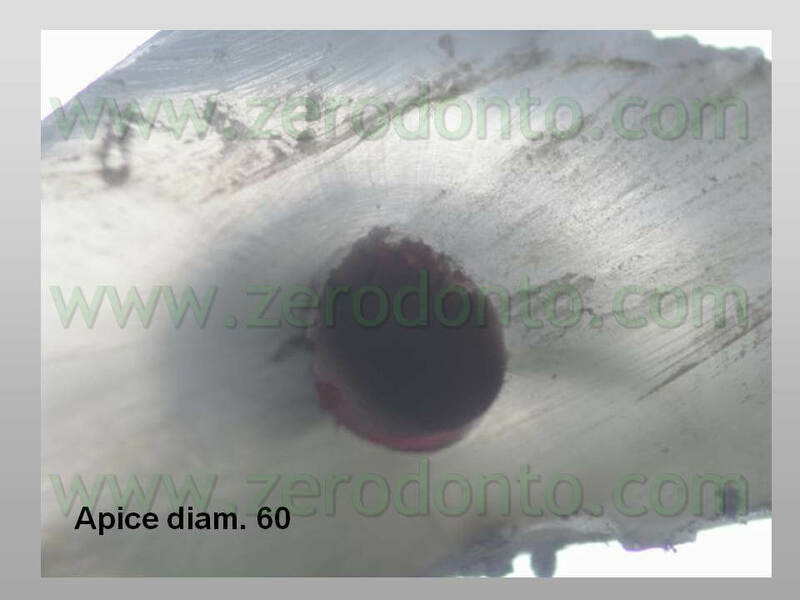 At this stage, after verifying, as before mentioned, the length of the root canal it is time to finish the job using the 15/02-20/02 and, if needed, the 25/02 at a speed of 800 rpm. 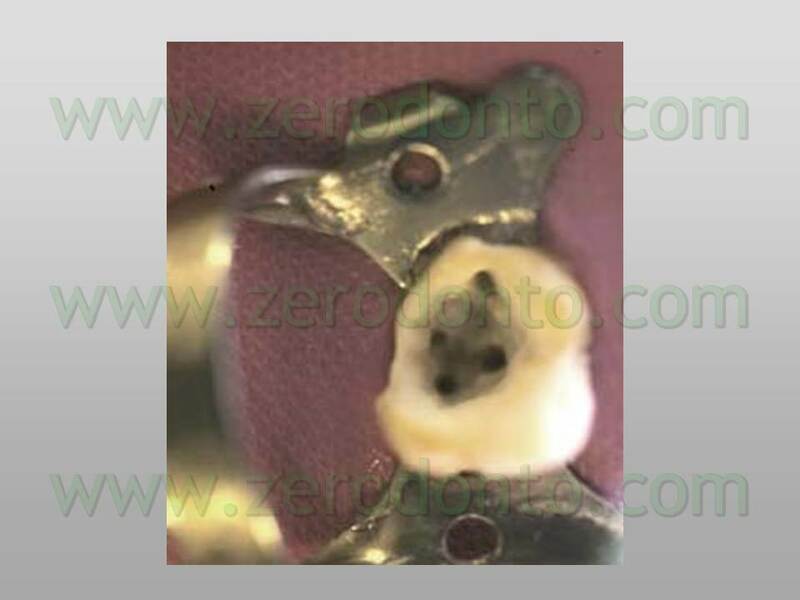 Now it is time to start shaping the root system: 25/06-25/04-20/06-25/02-25/04 (in atresic canals it is ok to end at this point), otherwise it is possible to finish with the 20/06. 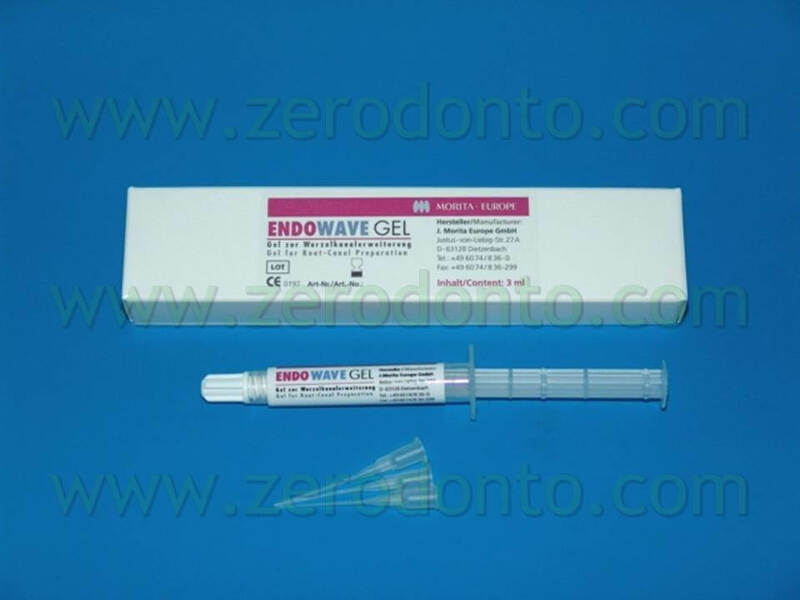 All the files are to be used at 600 rpm, alternating NaOCl and 19% liquid Edta at every round. 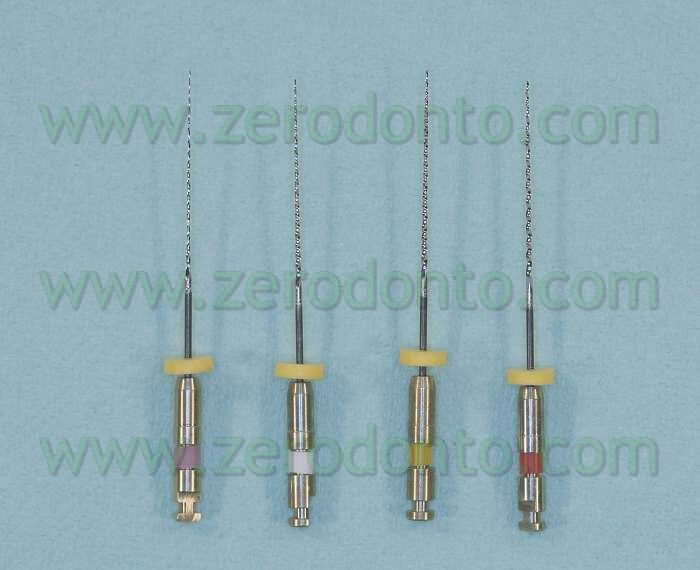 The torque values range from 0.6 NCm for 0.4 tapering to 0.9 for 0.6 tapering and 1.2 for 0.8 tapering. 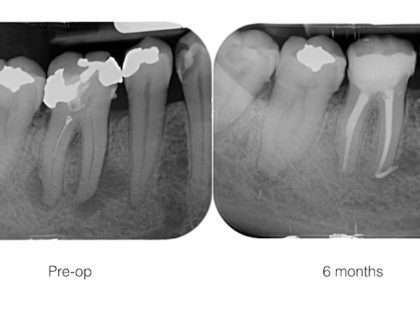 In wide and straight root canals the operative sequence starts with the 35/08, then goes on with the 30/06-25/06-25/04 (to check patency) and finally ends up with the 30/06 or the 25/06. 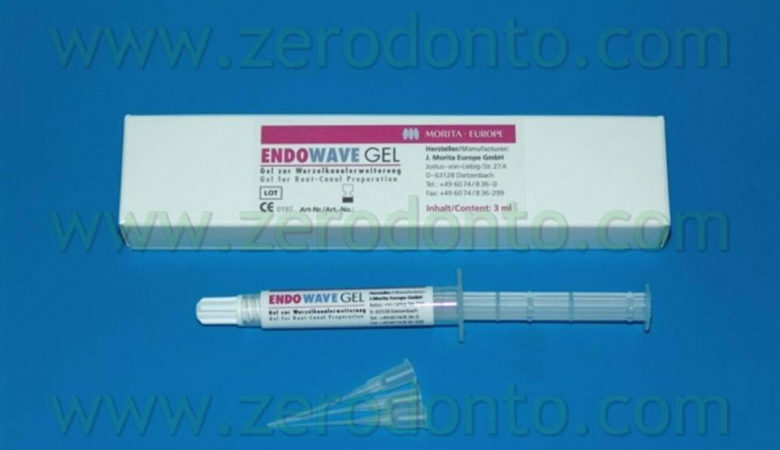 The impression left by the EndoWaves used this way in the root canal allows the perfect fit of the Medim or Medium –Large Resilion cone, from the third coronal to the third apical, on the root canal walls leaving a 1 micron gap for cementum on all its length . 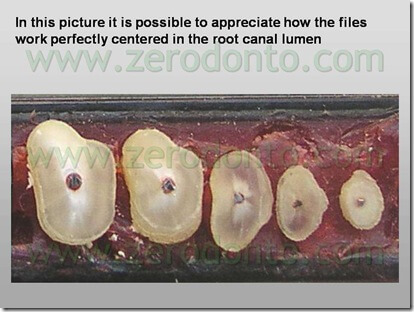 The pictures clearly show how the files work perfectly centered in the root canal lumen, leaving the root canal walls perfectly smooth and getting rid of the predentin . 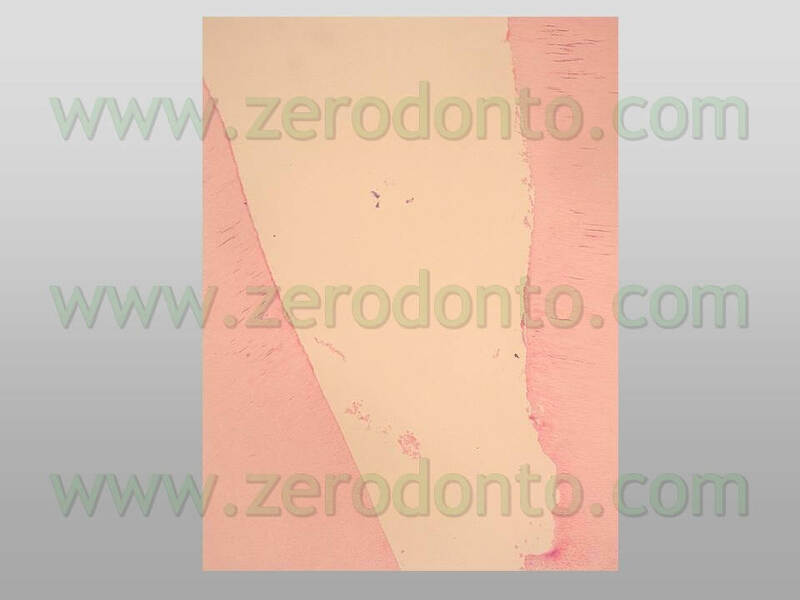 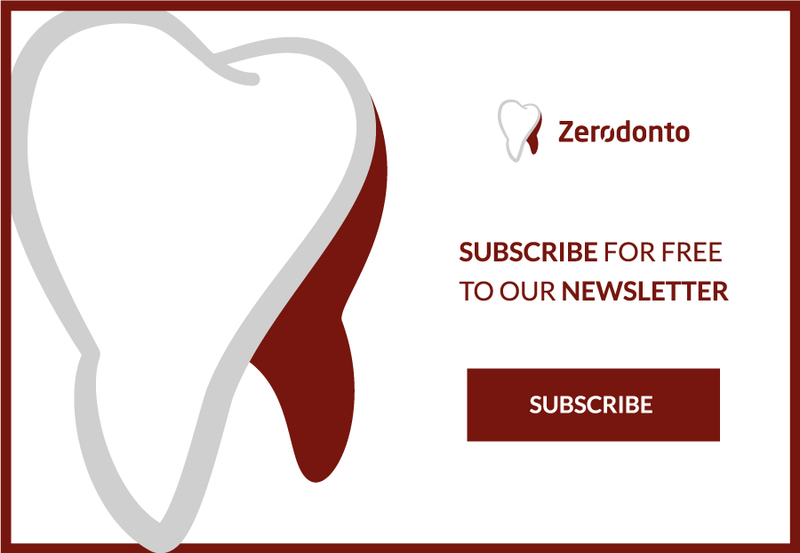 In our subsequent article (part 2), we will be dealing with the cleaning stage, strongly linked to the shaping and, finally, the filling of the root canal system, last stage of the correct endodontic therapy (part 3). 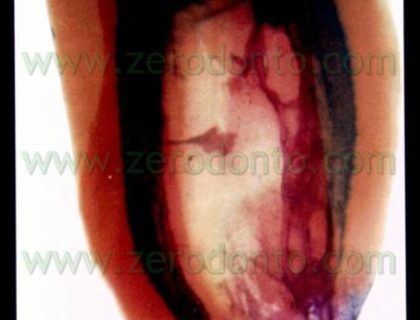 Graduated in Medicine and Surgery at the University of Pisa where he also specialized in Odontostomatology. 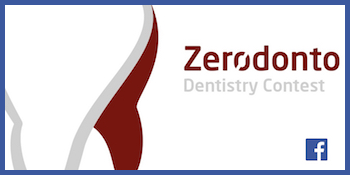 Member of SIE from 1980 and from 1987 as Active Member..
From 2003 to 2005 he held the role of Secretary of Culture of Tuscany’s SIE branch. 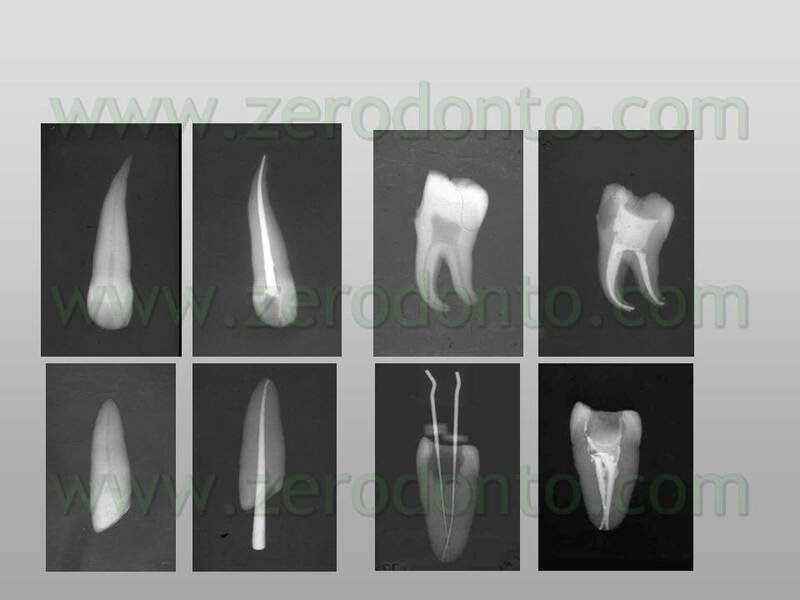 Speaker in National conferences, Endodontic days, ANDI nights, he is author of several publications.